Are you looking for a unique “piggy bank” to put your coins in? Or maybe you have so many coins you don’t know what to do with them. Look no further. 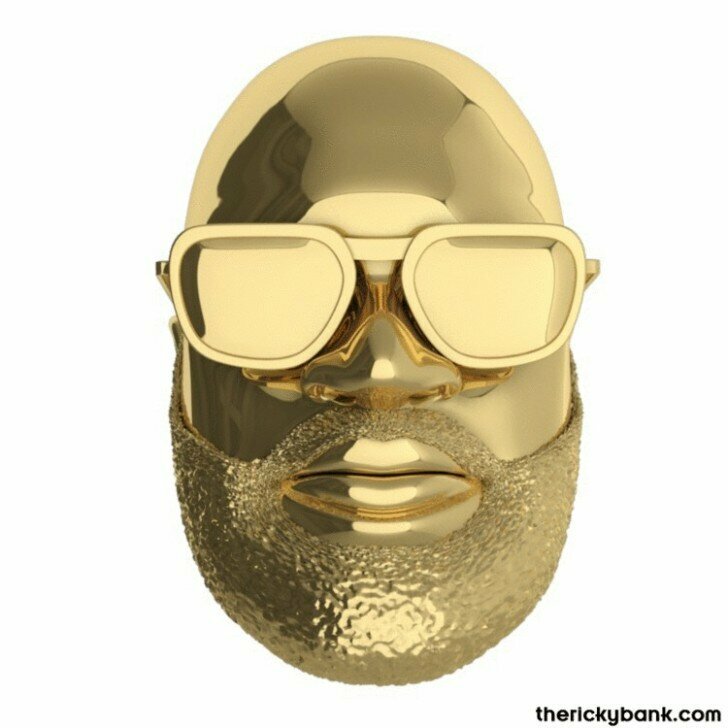 Brandon Hixon from “We Make Music” has designed a 3D printed piggy bank version of American rapper, producer, and CEO Rick Ross. This bank is 3D printed by Shapeways and is made of 70 percent steel and 30 percent bronze. It is listed for sale at a whopping $4999.99. The bank is said to be dishwasher safe and watertight. However, it is not recyclable, and it’s not food grade or food safe. After the bank is sealed, it is then shipped to its new owner, who can then recover the $4999.99 that they spent to purchase the bank, by saving money again – one coin at a time. For more serious fans, with perhaps even bigger pocket books, there are other options available in gold, silver, or black ceramic, at a higher prices, of course.